Everything I teach is about being truthful, rather than performing. For decades I have been known as the person to go to if you have an audition or if you had a last minute ‘cold’ reading. When I had opened my studio in 1986, it was unusual to find a place where actors could learn to audition and cold read. The majority of acting coaches taught scene study classes – but actors had no idea how to get the part. It seemed what they were learning in those classes were not easily applied to the audition world. I graduated Ithaca College and did my graduate work at Brooklyn College majoring in Speech Pathology and Audiology. Little did I know that the knowledge I learned from that profession would lead me into the world of auditioning. It made sense however, as I saw so many actors struggling with using the script and being forced to memorize. In the 1970’s, I worked with hundreds of international actors and applied the “linking of words” to help actors reduce their accent. 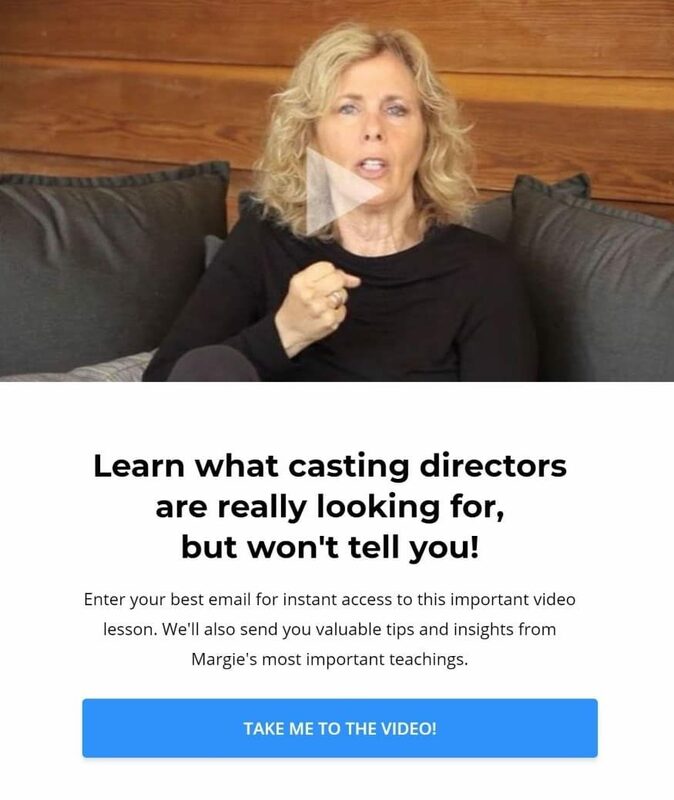 It was during the late 1980’s that I opened up the Margie Haber Studio in Los Angeles and created the Haber Phrasing – an approach that has been revolutionary in the acting world. The studio attracted incredible talent and gave me the opportunity to work with some of our finest actors – Brad Pitt, Kyle Chandler, Tea Leoni, Vince Vaughn, Mariska Hargitay, and Halle Berry. In the beginning of 2000, I wrote a book called “How to Get the Part Without Falling Apart”. It is filled with advice and anecdotes from my successful students and top industry professionals. I developed a 10-step method that was very helpful to actors giving them a map to guide them when creating a character. As I have gotten older and wiser, so has my teaching. I no longer just teach auditioning. My philosophy has changed to a very specific goal – BE A COMPLICATED HUMAN BEING. I am fascinated by our imperfections. I love living in the unknown. I am open and willing to grow. I am empathetic and curious. These are the characteristics I teach my students. Let go of being technical; get out of your head. Embrace discipline and messiness! Structure is our friend, control is our enemy. Allow the relationship to guide you and live in your imagination that is limitless! Say goodbye to “script analysis” which puts you in your head. Welcome “creation of life” which puts you in your body and your behavior. Learn to use the 10-step method of auditioning organically vs. technically. My hope for all actors is to enjoy the process and love creating. Isn’t that why you became an actor in the first place? In 2015, she coached and associate produced the feature film, Bravetown, (starring Josh Duhamel, Lucas Till, Laura Dern, and Maria Bello). She also recently produced and starred in Hollywood Trials, a Docu/Reality TV series about Margie starring Emmett Scanlan for RTE network in Ireland. 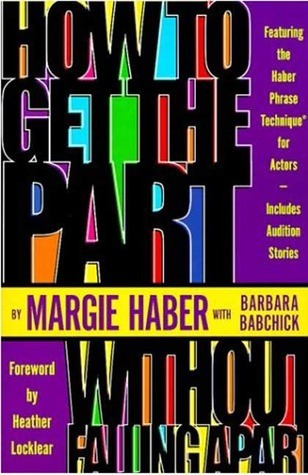 Margie Haber’s book, How to Get the Part Without Falling Apart, is used throughout the world in drama schools and colleges. 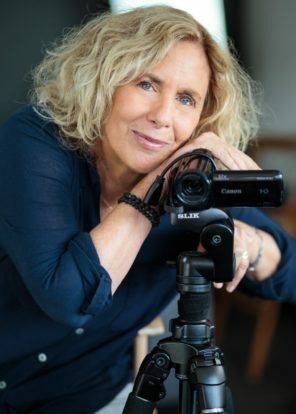 Based on Margie Haber’s 35 years of experience as an actress and teacher. How To Get The Part Without Falling Apart promises to take away the “three p’s” – pain, panic, and performance anxiety. It takes away from anxiety from the cold- reading process. While giving back the “big P,” POWER, to the actor. And it is filled with real-life (and often hilarious) audition stories from her clients. And some of the nation’s leading actors, with comments and anecdotes from over fifty top industry professionals. Also the book is divided into four sections, each dealing with a different aspect of auditioning. Available for purchase from Barnes & Noble, online at Amazon.com, or call 310-854-0870 to order an autographed copy and have it shipped to you for $25 (within the U.S.; additional international rates do apply). We are happy to hear from you! New / prospective students can email us at info@margiehaber.com. Currently enrolled or inactive students inquiring about class availability or who have other questions can reach us at studio@margiehaber.com.